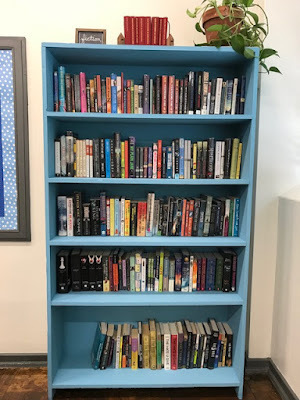 The Classroom Library Project: Look What You Did!!! Where I live nine months of the year. While the calendar says summer is still here, my school calendar says it isn't, and so back to work I go. I've spent several days at school already working to get my room back together for year twenty-four, and I think for the most part I am ready. 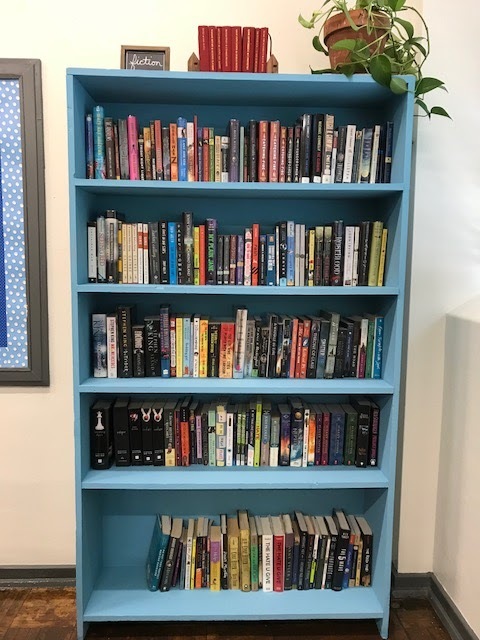 Really what I want to do here is to thank everyone who has sent or donated books to our new Classroom Library, and I want to show you where they have gone. I'm still loading books onto shelves so they aren't all in these photos yet, but you'll get the idea, I'm sure. My goal was to get 500 books by August 6, which is when our year starts. 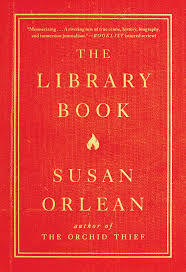 As of right now, I have 246 books and 224 of those are unique titles; I have some duplicates but that is absolutely fine. People have been so generous in sending books, it has revived my jaded spirit! Almost every day there are books in the mail from the Amazon Wish List (it's still being updated if you want to jump in on this!). I came home from vacation and found two huge boxes of books that some generous people shipped to me. In my school mailbox I got a beautiful, hardback copy of Anthony Doerr's All the Light We Cannot See; it was carefully packed in a nice box with styrofoam peanuts. I will treasure it. I've had friends hand me cash money to buy books and another friend just handed me his credit card and said, "Get a couple of books!" It's so gratifying that people support this project. And I've ordered books from my own Wish List just to be sure we get them. I've submitted a couple of grants and hope at least one comes through, but I know that's a long shot. I've got a Donor's Choose project up and sometimes some great philanthropist will come through and fund a bunch of projects before school starts - I'm hoping someone funds mine! So, I'm not finished gathering books, but I did want you generous folks who have helped me to see my progress. That's A-Z, all fiction, and as you can see, it's about to fill up. This is my non-fiction shelf - it needs some books so that's where I've been concentrating my Wish List lately. I came through and added a bunch of non-fiction to the list and people started sending those! This shelf holds biography/memoir (that's the full shelf), informational books, poetry, and I have a shelf going for the Chicken Soup books that I've picked up. There's room to grow. I've got to fill that one up! 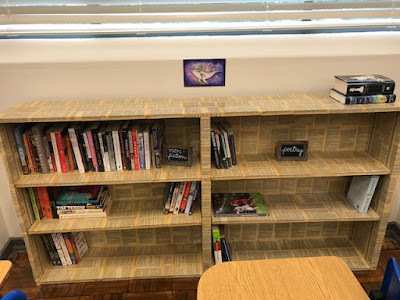 I have two more shelves in my room; one is built in and currently holds class sets of textbooks that we no longer use (but I can't let go of them), and the other just holds our Common Core Guidebooks and Student Readers. I have boxes with all the copies of things we have to read there. All that can be moved if I need to use that shelf for actual books. My non-fiction shelf is the one that I covered with pages from To Kill a Mockingbird. I love it. And in this photo you can see the shelf that holds our copies of Common Core material. 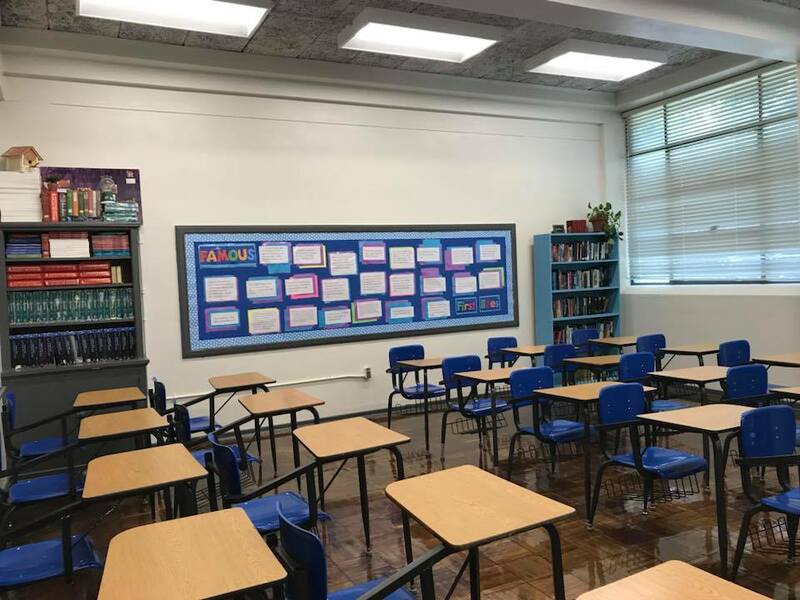 I am super excited about the great reading that will be happening inside this room and once again want to really thank everyone who helped us fill these shelves! And of course as we progress through the year I'm going to keep you posted! 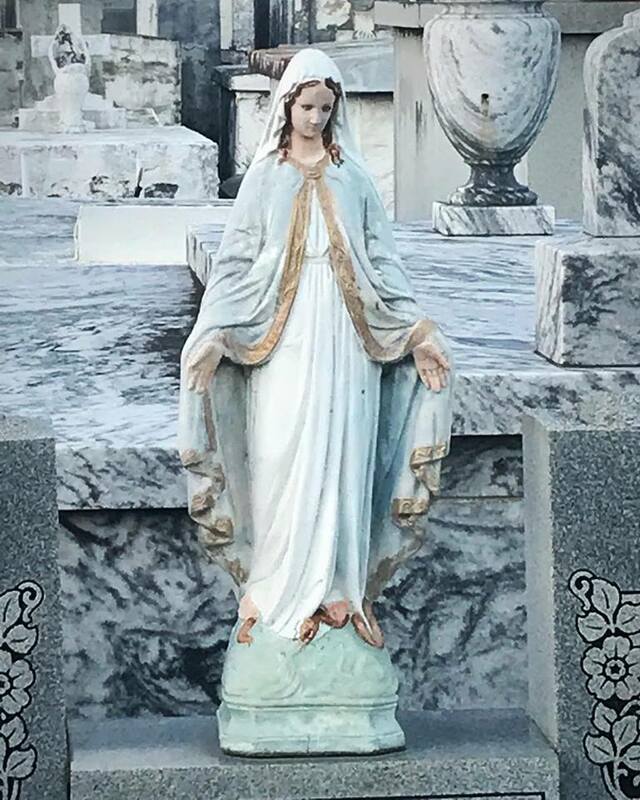 As my summer vacation comes to a close and the hectic school-year calendar approaches, Steve and I made one more trip to south Louisiana before we become consumed by school schedules, his Masters studies, and my book events. In this sort of calm before the storm, we threw ourselves into the Jeep and headed south. 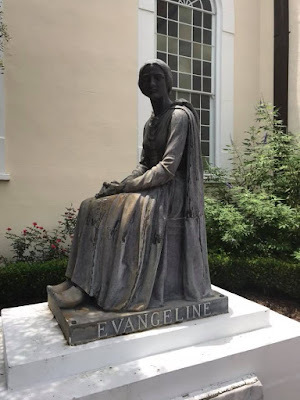 After our first visit to New Iberia in April to attend the Books Along the Teche Literary Festival, we fell in love with the city and with the people. 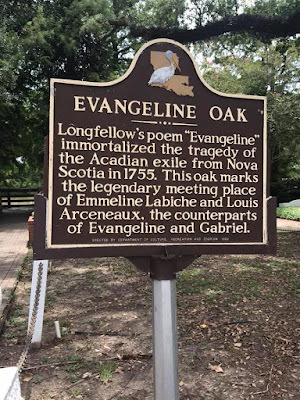 I am simply enchanted with all of it: the hospitality, the natural beauty, the lyrical Cajun accents, and the complete joie de vivre that we found there. And because the weekend of the literary festival was so fun and so full of activities, we didn't get a chance to see and do everything we wanted to, so a return trip was more than needed. The attractions around Iberia parish are epic. When we were there in April we did a quick tour of the Tabasco factory (because it was Sunday they were not in production that day), and Jungle Gardens on Avery Island. Both were amazing and call for a return trip. I want to see Tabasco when they are in production and Jungle Gardens is beautiful and deserves more than the quick couple of hours that we were able to give to it before going home. 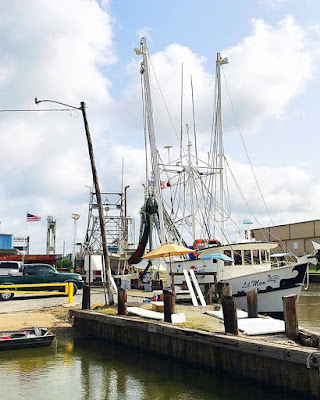 For this trip we wanted to visit New Iberia again, catch up with some friends we made in April, and tour Jefferson Island. When we arrived, my friend Wendy asked if we were up for going with them to the Cajun French Music Association dinner and dance with them and so we tagged along for that which was big fun. 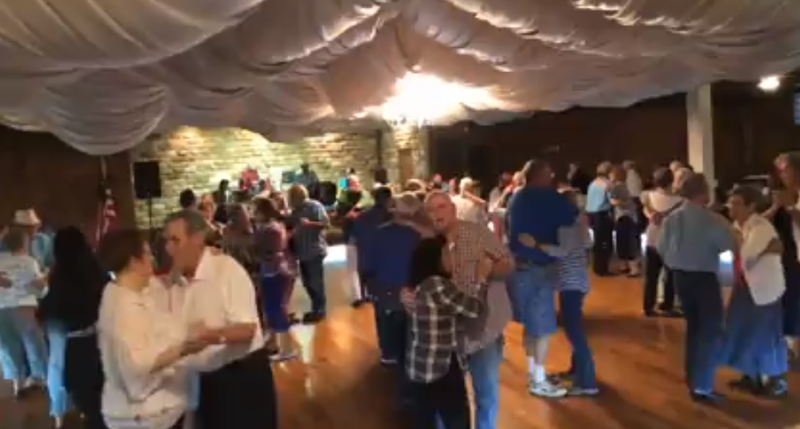 We danced a bit and learned a couple of Cajun dance steps. 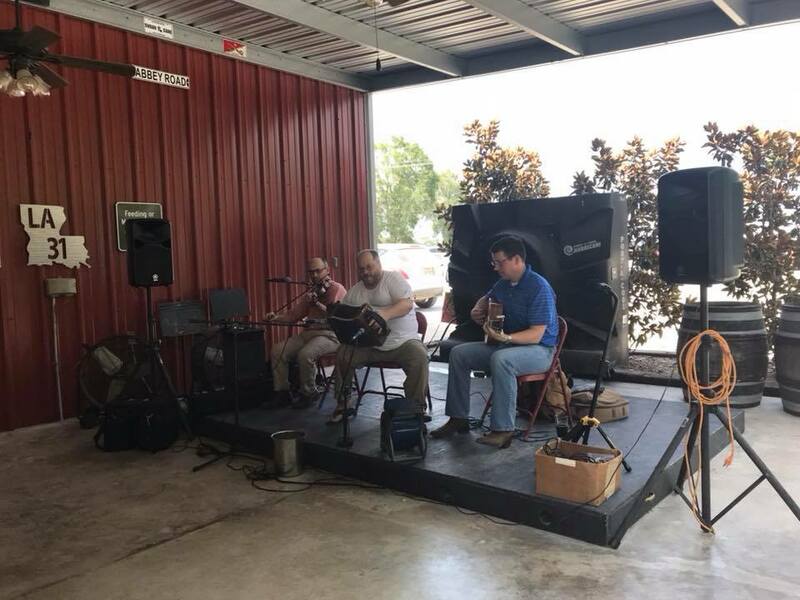 Cajun French Music Association dinner and dance. 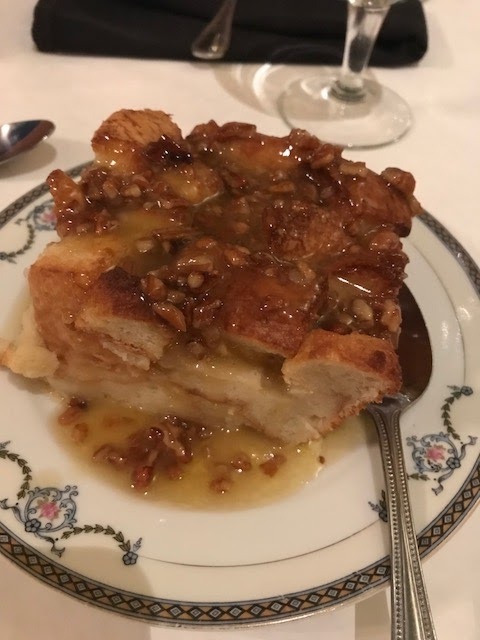 The evening ended at Clementine on Main where we had a couple of drinks and the most divine bread pudding on the planet. After listening to our New Iberian friends, I decided I need to brush up on my French! If I lived in New Iberia, I'd go to the French breakfast at Victor's Cafeteria on Thursday mornings and learn a few things! The next day, our only full day this trip, was dedicated for Jefferson Island. 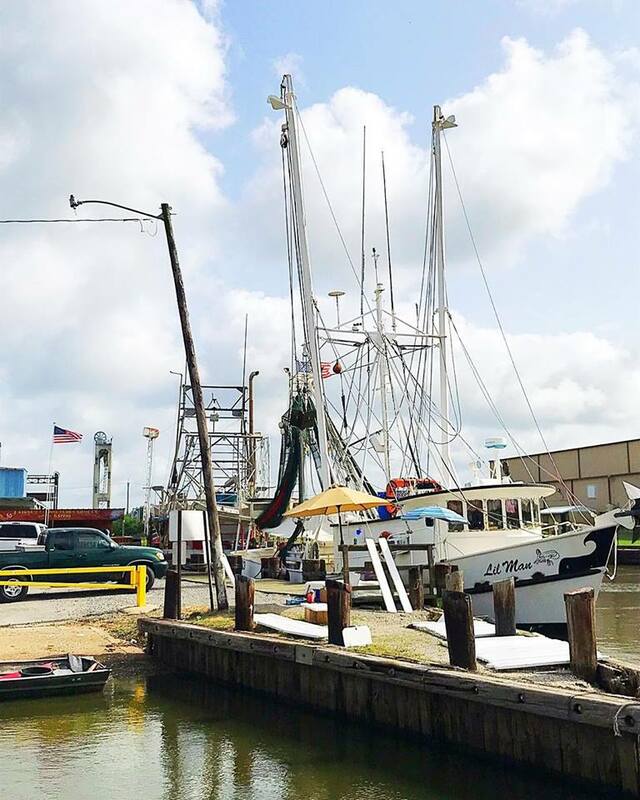 We stopped in Delcambre on the way and looked at the boats which was pretty cool. Somebody please throw me on a boat and take me out into the Gulf! You have to see Jefferson Island to believe it. I took lots of pictures and not a single one does it justice. Driving into the parking lot, we had to go really slow to avoid hitting peacocks. The island isn't actually an island, but a rise from a salt dome, just as Avery Island is. In November, 1980, a Texaco drilling rig on Lake Peigneur pierced the salt mine which cause the huge lake to drain into the mine, backed up water from the Delcambre canal and the Gulf of Mexico rushed into the mine and lake bed, and remarkably, none of the mine workers were injured, although much damage was done and property lost. You can easily see the chimney from a home which is all that remains. The litigation dragged out for years. After his death in 1905, Jefferson's heirs sold Jefferson Island and the 2,000 acre plantation in 1917 to a partnership of John Lyle Bayless, Sr. of Anchorage, Kentucky; Paul Jones, bourbon distiller of Louisville, Kentucky; and E. A. McIlhenny of Avery Island, maker of TABASCO® Sauce. John Lyle Bayless, Jr. affectionately called Jack, developed Rip Van Winkle Gardens around the historic home in the late 1950's after selling the salt mine that tunnels under the island and lake. Bayless donated the home and 800 acres to a private operating foundation which he formed to assure its continued operation far beyond his lifetime to share with everyone, the place he so loved and enjoyed. We spent the entire day in this paradise; the gardens are gorgeous. Rip Van Winkle Gardens on Jefferson Island. I was mesmerized by the lotus garden and took a million photos here. The flowers were so delicate and beautiful. I took another million pictures and videos of peacocks. I really wanted to capture their calls on video but wasn't able to do that. We spend a long time just sitting on one bench or another, listening to the sprinklers, watching butterflies, raccoons, peacocks, and squirrels, or just watching the lake. There is the chimney - all that remains of the house. For lunch we went to the Jefferson Island cafe which offered air conditioning (yay!) and a beautiful view of the lake. 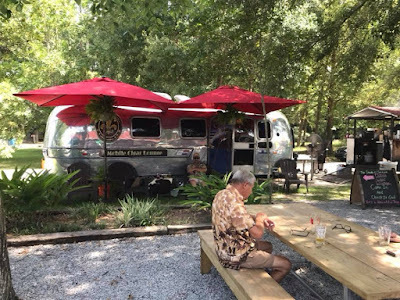 I imagine in cooler weather (that is, not over a hundred degrees...), people dine outside because there's a nice cooling breeze coming off the lake, fanned by the Spanish moss, and through the trees. I had a pastrami and Swiss cheese sandwich and Steve had an eggplant dish that he raved over. We spent a couple more hours in the garden after lunch then went back to the hotel to shower and change for dinner. We got to Main Street a couple of hours before our dinner reservation so that we would have time to shop. We stopped at Books Along the Teche and visited with Howard and Loraine Kingston for a while and purchased a couple of books. Loraine told me that Burke has a new Robicheaux book coming out in January called New Iberia Blues. I can't wait! Anything James Lee Burke related, Howard and Loraine know. 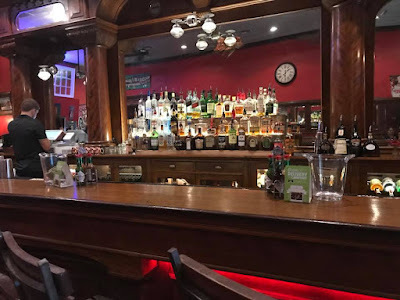 It was still too early for our dinner reservation so we walked Main Street, visited with some locals, and finally stepped into Bourbon Hall for a cold beer and a couple of quick games of pool. We went to this sports bar when we visited in April and because the service was fast and friendly, we went back. I lost three games of pool, but hey, I'm out of practice. Our dinner choice was Clementine on Main. Clementine originally opened in 1980, closed for two years, and recently reopened under new owners. They describe themselves as "southern casual fine dining" and I can attest to that. 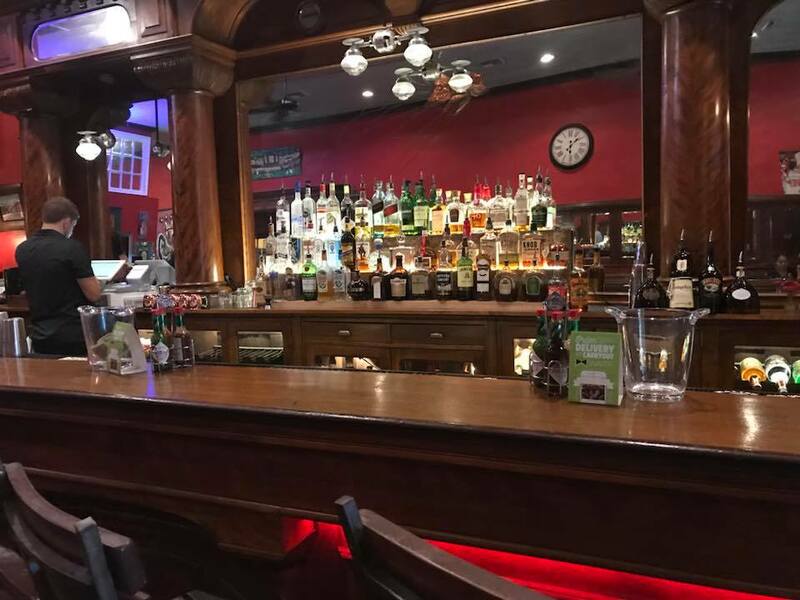 The beautiful, old, tiger oak bar is stunning. Tiger Oak bar at Clementine. The restaurant was busy when we got there; a lot of the locals were having an early dinner before the Iberia Performing Arts League production of Annie. We both opted for the flat-iron steak which was divine. Perfectly seasoned, perfectly cooked, and tender as it could be. Steve had a sweet potato/sausage hash and grilled, smoked vegetables for his sides and I had fries and wilted spinach which had just the right touch of fresh garlic. 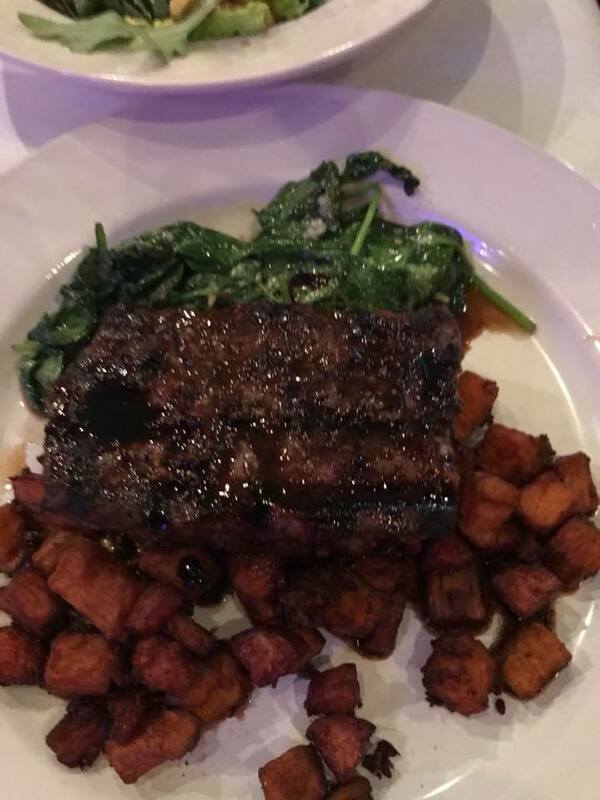 Flat-iron steak, sweet potato hash, wilted spinach. 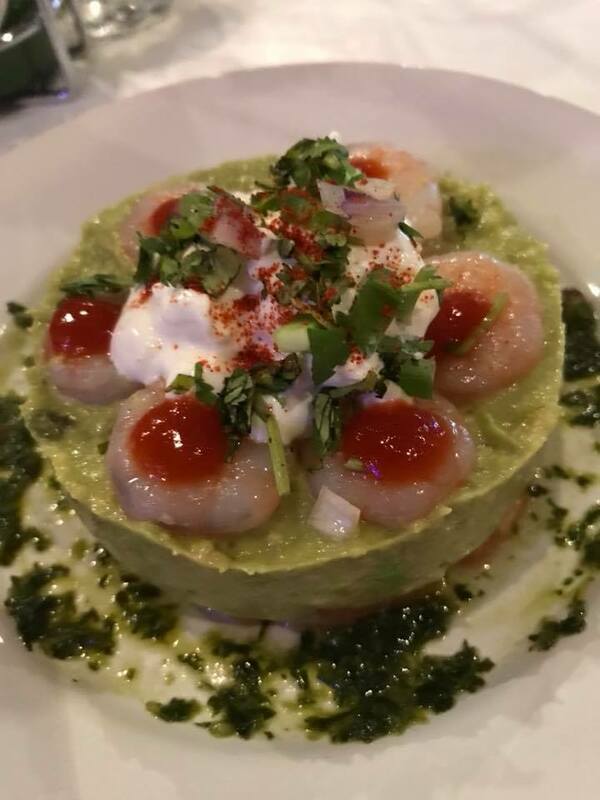 Our appetizer was Avocado Tartar which was described as a "deconstructed guacamole" and this raised the level of guacamole to new heights. Let's just say that I ran out today to buy avocados and Tabasco's Sriracha sauce so I can try to recreate this. At the end of the meal I sent a text to my friend Wendy confessing that I was eating the bread pudding once again - I couldn't stop myself. Fabulous bread pudding at Clementine. After dinner we walked around downtown a little and then walked through St. Peter's cemetery right before dusk; it was serenely beautiful. There is a lot of history in the cemetery and the city does cemetery tours each year with residents playing the parts of various people and telling their stories. and we called it a night. Our final morning in New Iberia consisted of a tour of Konriko, the Conrad Rice Mill, which is the longest operating rice mill in the country. The mill is on the National Register and so they are a little limited as to what modernization they can do, but with over a dozen employees, they still produce a quality product and the thing I loved most: they waste nothing. Nothing! They either sell or donate hulls and broken rice and other by-products to farmers for feed, or breweries for their production needs. The mill store is a relatively modern structure but a great deal of it was built with salvaged lumber and other items. It was well worth the stop, plus we got to meet the mill cats who we are assured control any rodent problems! We took one more pass through downtown and hit Highway 31 heading toward St. Martinville. It is a stunningly beautiful drive with sugar cane fields everywhere and the two-lane highway is lined with towering oaks draped with Spanish moss. In St. Martinville we toured the Acadian museum and memorial. The full sized mural that greets you inside the museum is simply gorgeous. It is 12 x 30 and was painted by Robert Dafford. There is an audio that lasts for about twenty minutes as some of the people depicted tell you their stories. I expect that this is a terrific place to come do research if your family has Acadian ancestry. We saw the Evangeline statue which was pretty awesome. And we ate (again) at St. John Restaurant which was delicious. I had alligator au gratin and Steve had another eggplant dish. 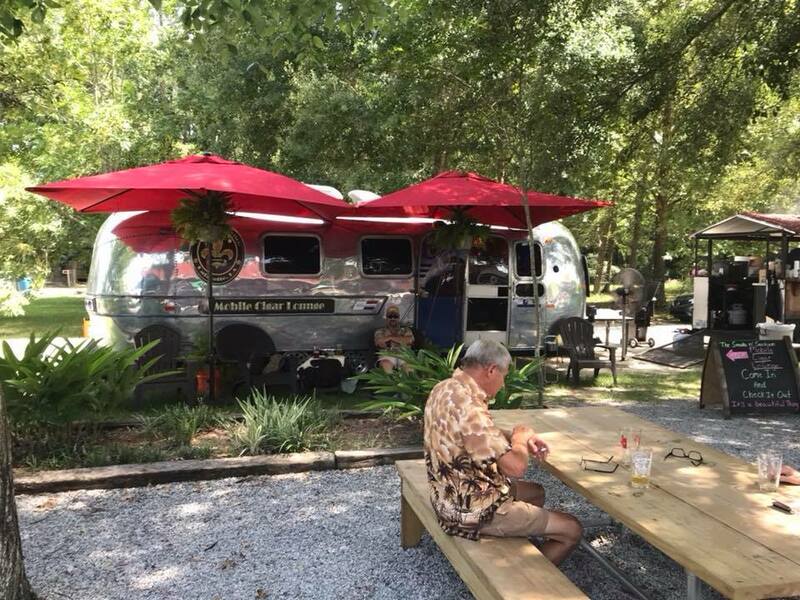 Both were excellent and we had a cool view of Bayou Teche while we ate. 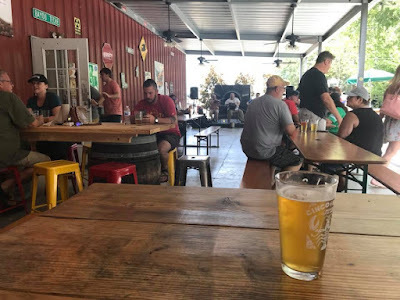 We stayed on Highway 31 through Breaux Bridge and on to Arnaudville where we stopped for a cold beer. and a BBQ food truck was there. I could have stayed all day but I filled a growler, listened to a couple of songs, and came on home. We've been to New Iberia twice now and each time I love it more. And there is still more to see. I want to return to some of the places we saw the first time, like the Bayou Teche Museum. We haven't been to Loreauville or to the Jeanerette Museum. I could spend an entire week on Jefferson Island and Avery Island. I still haven't made it to Cypremort Point, I haven't done a swamp tour on the Bayou, and there are lots of restaurants I still need to try (although you may never get me away from Clementine). And this weekend is the Iberia Film Festival! The Cajun French Music Association has dinner and dancing once a month and there is always some festival or another either in New Iberia or nearby. I'm so impressed with how these people love their community and work so hard to make it a lovely place for both locals and tourists. New Iberia has recently reinstated their own police force, too, and this has instilled a lot of pride and excitement in the town which saw some spike in crime after Hurricane Katrina. I love Iberia parish and I hope they'll let me be an honorary Cajun because I'm brushing up my French and plan on coming back really soon! Take a Stocking the Freezer Trip to Ed Lester Farms and Find a Cool Truck! As an Amazon affiliate blog, if you go shopping through my links I get a few pennies in return at no extra cost to you, so go shopping and help a girl out! There are lots of other deals so check it out! We have just returned from our annual vacation to the Midwest and after a day or two catching up on laundry and restocking the pantry, I'm beginning to get back into my routine. We had a wonderful time: Iowa is a beautiful place everyone is so friendly. We caught two baseball games (one in Frisco, TX and one in Des Moines), we visited the Iowa state capital (it is magnificent), we traveled Route 66 from Oklahoma City to Joplin, Missouri (I love it), we toured Fort Smith, Arkansas, and we spent a lot of time with family. It was a good trip and now that I'm home I realize that I report back to school in about three weeks. Where has my summer gone?! I've spent the entire summer working to get books for my new classroom library, for one thing. People have been so generous in sending and donating books. Donations have contributed nearly 100 books for my classroom from my Amazon Wish List. I have purchased probably two dozen from my own list, and I've rounded up several large stacks from thrift stores. My library now has about 140 books, which is far short of my 500 books by August 6 goal, but certainly large enough to get us started. 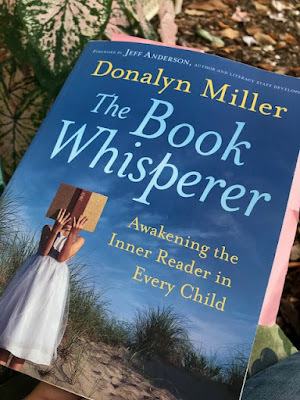 I have just finished reading Donalyn Miller's highly recommended The Book Whisperer (2009); Miller is an advocate of free reading. 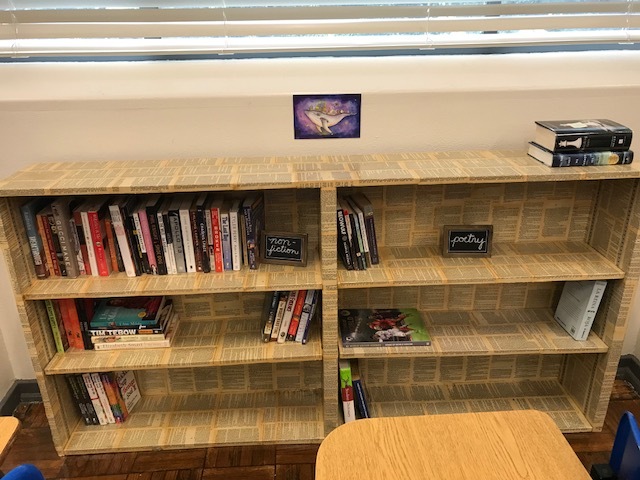 In her sixth grade classroom she has a library of 2,000 books (her room must be bigger than mine! ), and from Day 1 she has her students reading from the library. Their requirement is forty books in the school year and she establishes a certain number of books from all genres. 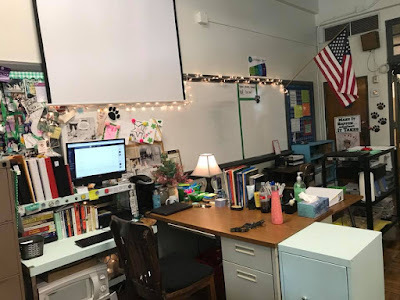 Miller says that all of her lessons come back to what her students are reading and notes that her test scores at the end of the year are on par or above everyone else's; the added bonus for her is that she knows her students will be lifelong readers. I'm not going to be able to follow Miller's prescription for reading success exactly because we are on a canned, scripted curriculum. I have to read from annotated teacher notes and slides made by someone else. But I can adapt her practices into my classroom and given the stifling, mind-numbing curriculum, I think that free-reading will be welcome. In other words, there is no better time for me to begin this project. 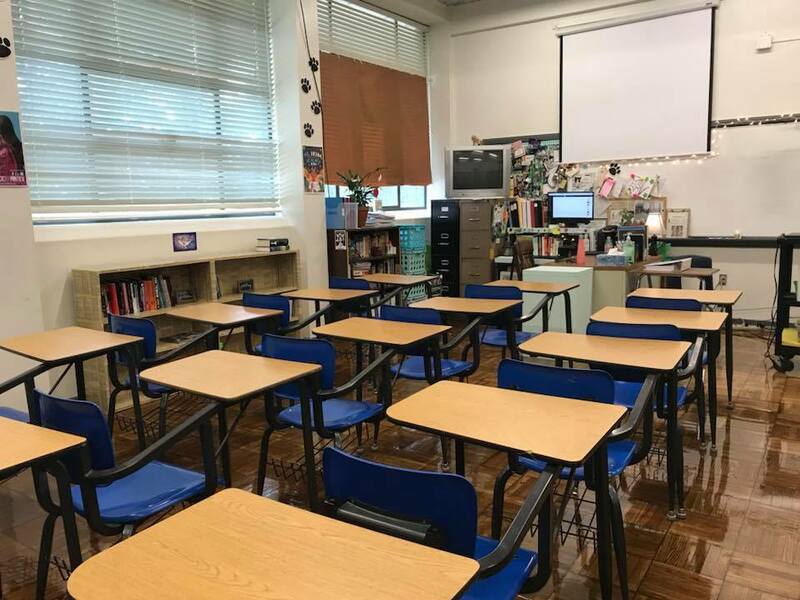 Miller writes: "The institutional focus on testing and the canned programs drains every ounce of joy from reading that students have or will have in the future. We have turned reading into a list of 'have to's,' losing sight of the reality that students and adults are more motivated by 'want to's.'" That is so true. Every lesson, every task, is geared to the test. There is absolutely zero reading for the pure pleasure of it. Zero. In fact, what my students are required to read is dry enough to turn them off of reading forever. As I've stated before, morally, that's just wrong to me as a teacher. I can't spend the entirety of my career putting nothing but dry, "informational texts" in front of my students and directing them to highlight them in various colors. I'll cover what I'm required to cover but my students are also going to read for fun. The research that supports independent reading is massive. MASSIVE. How can we ignore this? But that's exactly what these scripted curriculum programs do. Miller points out that readers are better at writing, have "richer vocabularies, and increased background knowledge in social studies and science." Miller is not a fan of the whole class novel, and I can see the merit in this. After teaching certain novels whole class, it is true that your readers are going to read through the novel, finish it and be bored long before the struggling readers do. This results in wasted time for those faster readers; even worse: they are rewarded by being assigned extra busy work just because they finished quickly. The goal of the whole class novel becomes just to finish it and complete the worksheets and projects that go with it. Yes, there are things everyone should read: I fully believe that every student should read To Kill a Mockingbird, but I no longer believe it must be done whole class or on the same schedule. We don't read that way in the real world, so why should we do it that way in school? Miller's book was an eye-opening read; much of what she wrote I already knew but had not articulated in my mind. She has used free reading in her class for years and her program works for her. My plan is to make it work for me and for my students. 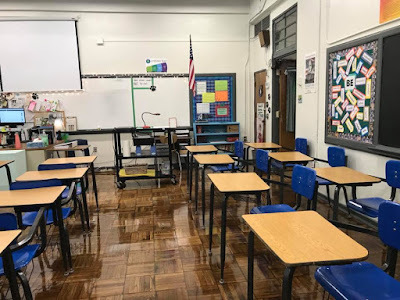 I am anxious to get back into my classroom and get this library set up! Next on my summer reading list is Teach Like a Pirate by Dave Burgess. Since I only have three weeks I better get after it! If you'd like to send a book for our classroom library, here is the Wish List link!